Jackson, Michigan has been my place to call home ever since I came into the world 23 years ago at the formerly-named Foote Hospital (now Allegiance Health). It is a city that is quite low-key most of the time (at least in my mind since I don’t get out much). There is a lot about Jackson I am familiar with but quite a few places I have never even been to (the hotels and a couple of obscure restaurants and pubs mainly). As for the strangest thing about it? That’s a tough one. It’s not as though my city is a desolate ghost town with a series of grisly murders in the last couple of years…it looks quite innocent on the outside unless you take a closer look. And there isn’t anything too eccentric about it either. It’s just a nice town to live and grow up in. Peaceful for the most part. I don’t know about our slang, perhaps that would point to one of our main superstores, Meijer, and how long-time townsfolk add an ‘s’ to the end, calling it Meijers either out of ignorance, long time habit, or it just slipping off the tongue better. My mom and many people in my closest family resort to ‘Meijers’ but I try to stray away from that as well as pronouncing Illinois with an ‘s’ on the end. What I’m betting is that this slang comes from the store originally being called ‘Meyer’s Thrifty Acres’ and then shortened to its present name (the spelling change is odd though) and the original ‘Meyer’s’ just passing down through the ages and sticking. I don’t know if it is just Michiganders either but we refer to carbonated beverages here as ‘pop’. There are a couple of strange things a person going to Jackson for the first time might experience. One is our apparent lack of popular fan-friendly restaurants (Sonic and Red Robin are long due) and Jackson’s stubbornness to acknowledge this fact. Another is Jackson’s one “major” college, Jackson (Community) College being located in the middle of nowhere, away from the main city, and making it quite hard for people to get there every day especially in the dead of winter with an ongoing blizzard. I put ‘community’ in parentheses because the college recently dropped the word from its name, trying to come across as a legitimate higher prestige college when in fact it still is a community college at best (offering a couple of Bachelor’s degrees in some obscure field does not make it suddenly Harvard-esque). An interesting fact is that Jackson is home to the first prison in Michigan and was once the largest walled prison in the United States in both population and land area. It can be observed that people here seem to follow ordinary everyday routines, going about their lives in uninterrupted fashion. One of the first impressions an outsider might make is that they are all like robots, walking around with little expression and enthusiasm on their faces. It’s like they just live for necessity. The people’s voice is non-existent. Lifeless. Do we even hear from our mayor at all? No, I barely know his/her name without looking it up first. Where’s the connection among the people in this town? That’s probably the strangest part of Jackson, we are a city that is large and mostly distant, though this can be said about other cities as well. The one event that does bring us together though is the county fair every August, when the city comes alive with fun, music, and lively entertainment. I love Jackson, always have, but when it tries to adventure into the fields of movies and high-profile entertainment, things tend to get cheesy really fast, such as the time a movie called “Super Sucker” was filmed here in 2002 starring Jeff Daniels. It was our one shining moment in the area of big-time film making and having a celebrity like that in our town was a dream. The movie was a disaster on all levels but hey, what were you expecting out a crumby town like mine? Another strange thing that someone might find out about Jackson is that everything, in terms of entertainment and hospitality, seems to die at night, with large empty parking lots making this place feel very eerily like a ghost town which in my eyes is kind of beautiful. P.S. The feature image for this post is from the Cascades Falls Park, where evening waterfall light shows dazzle audiences along with musical guests from around the state. It is our definite landmark and I view the place as a sort of meditative sanctuary for myself, where I can let the rush of the water engulf my thoughts in happiness and relaxation. I’m not one to visit a shopping mall very often but I know a winner when I see it. The overall experience of walking into a giant super plaza like The Mall of America is magical and unforgettable. Seeing all the people bustling about and all the wonderful stores and side attractions makes you feel like you’re in a wonderland of some sorts; the carousels, bungee jumping, and kiddie trains choo chooing about adds to the eye and ear pleasing scene. I would like to say the same thing about my own mall close to home but that is not the case. 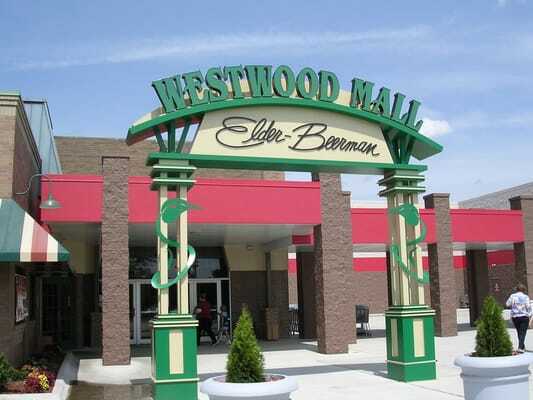 The Westwood Mall in my hometown of Jackson, Michigan pales in comparison to other multi store complexes I have been to in other cities around Michigan and in other states. For one reason, it seems like it is so dead there most of the time; no wonder certain stores can’t stay in business. Compared to other shopping malls, I would say Westwood is pretty bland and boring. Kansas’ Great Mall in Olathe had a lot of cool stores to choose from and the entertainment value there was endless. Plus, it had a lively atmosphere that Westwood is lacking right now. Briarwood Mall in Ann Arbor is, in my short opinion of malls, probably one of the best in Michigan, you couldn’t possibly walk out of that place disappointed, especially if you drove a ways to get there. 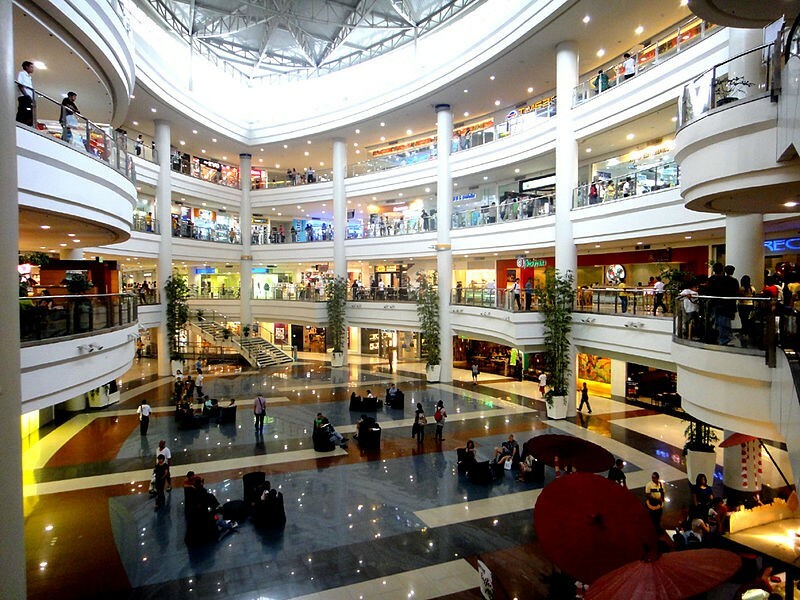 The mall in Novi, Michigan has two floors and lots of picture worthy tourist attractions. The food court, another thing Westwood lacks, is amazing and it includes some well-known restaurant brands and others that are more local to the area; this also provides an area to chill, eat, and chat it up with friends and family. Westwood has two floors but the second is for staff only and probably storage as well. Hmm…I wonder what the employees do up there while on their breaks? I recently went to the mall in Rockford, Illinois. It was called the Cherryvale and sported two floors, escalators, a glass elevator, and many store outlets that are popular among people today. There also were video screens around the food plaza that showed up to date news on movies and sweepstakes being held throughout the mall. These screens had a recurring section of featured YouTube videos being played, most of them involving cats and goats in trees. The ethnic diversity in Rockford made this mall an interesting place to hang about. I found it neat to order a frozen yogurt from a man that I was sure had roots in India and thought resembled Raj’s dad on The Big Bang Theory from the way he spoke; I was a little intimidated by him. Another neat thing about this Cherryvale was the free samples being given out around the place by employees. They seemed so nice and I tried every one of the samples that I came into contact with, even the little cups of yogurt from Mr. Kootherpali. The Chinese restaurant actually had people of that heritage working behind the counter and giving out samples. A Spanish person spoke Spanish to a cashier who also spoke Spanish and I was like “this is unlike anything I’ve ever seen at home”. That same thing happened at a McDonald’s in Rockford; it was the first time I heard a real conversation all in Spanish, besides in TV and movies. It is no quick trip through the gigantic plaza of Cherryvale and unlike Westwood or even the Jackson Crossing you feel like the outside is far away and you are in the “belly of a beast”; at Westwood, it is only a short walk before you see the doors again making it seem less intimate and appealing. That’s what I like about malls, feeling like you could never go home because there is always something new to see everywhere you look.